Did you participate in the Finish-Along for First Quarter? I'm usually very driven and finish most, if not all of the goals I set out to do. 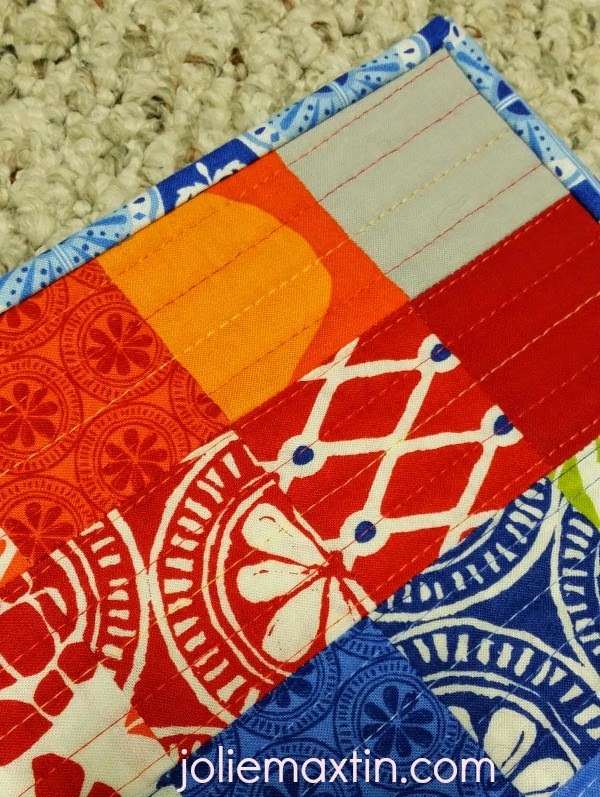 Beach House Mini - this was a challenge for the Fort Worth Modern Quilt Guild where I did my first matched binding. I love the result and will do this again on a future project. Mug Rug - this was a swap that I joined that not only included a mug rug, but also a Starbucks "You are Here" mug, which I collect. This is the mug rug I made for my partner, in her three favorite colors, along with a New Orleans mug. 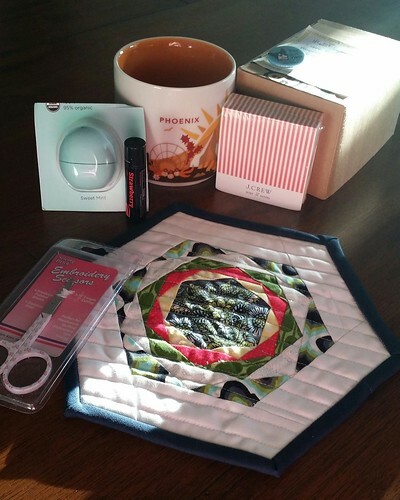 In this round, I got Phoenix mug - along with some great goodies! Yeah! That's it! Well actually, I did 2 birthday club projects but I forgot to take pictures so I won't get credit for them. One was a set of placemats and another was one of those cute hexagon quilts. 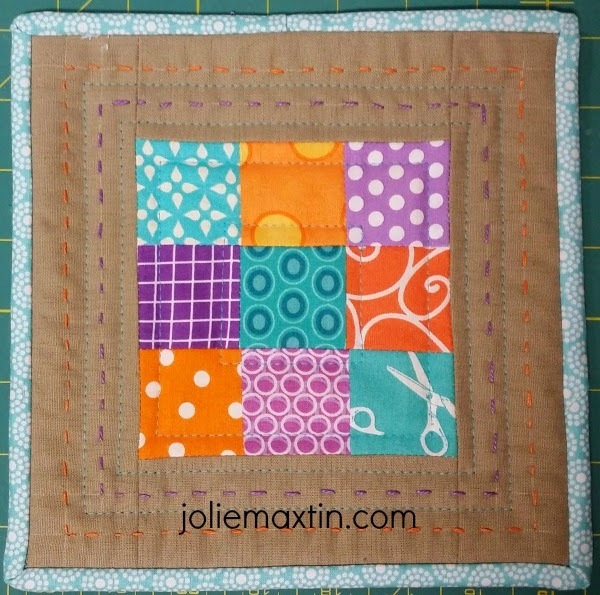 I made a mini for a friend of mine, for her sewing room. Stay tuned in Quarter 2 as I try to finish up Quarter 1, and the new goals for quarter 2!